Sustainability is big business, good news when all the evidence reveals human-generated climate change is a reality and is affecting our lives in all sorts of ways. BREEAM, the internationally recognised sustainability measuring system for buildings, is at the forefront of tools available to the construction industry for its fight in this quiet revolution. And it’s moving with the times. Late May 2014 saw the latest BREEAM UK New Construction scheme going live, an update inspired by the most wide-reaching consultation ever carried out for a BREEAM scheme. The UK Green Building Council, the UK Contractors Group and the Construction Products Association were all involved, giving the scheme’s latest facelift an even higher profile. The latest revisions to the scheme include a dramatic change to the energy recommendations BREEAM provides. Part L of Britain’s Building Regulations are now the backbone of a UK-wide standard for energy demand as well as performance measures for primary energy and CO2 emissions. And individual national building regulations will be brought into play for Scotland, Wales and Northern Ireland, delivering a more effective, granular framework to better meet local needs. But there’s more, and it’s exciting stuff. The changes have streamlined the initiative’s requirements, making it easier to comply and dovetailing with existing regulations so there’s less overlap. The old requirement was for a percentage of the energy generated for a building to be from renewable sources. This no longer exists, simply because it’s already covered specifically in the building regulations. To align things more effectively with the building procurement process, BREEAM’s management category has been restructured. There’s a handy new credit for developers who report on their project’s predicted capital outlays. The new transport category revises the requirements for bicycle facilities, which is good news for cutting vehicle-led CO2 and other emissions and something that aligns perfectly with the growing public interest in travelling by bike. Anyone who has struggled with the original Responsible Sourcing of Materials criteria will be happy to know the new guidelines now bypass all those complicated calculations, making the whole thing much more straightforward. And there are two new issues in the waste category, designed to take care of buildings’ adaptability. Originally lumped together, now shell and core buildings are split in two, each defined separately and each with its own unique scope-specific criteria for assessment. 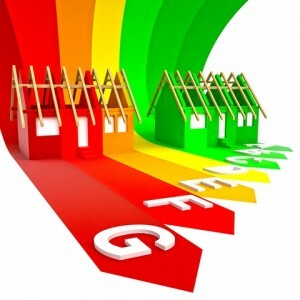 Do you understand the ins and outs of BREEAM? More and more often, local planning authorities demand that new developments achieve a stated BREEAM level. If you’re embarking on a new build, whether you’re an architect, developer, builder or self-builder, are you adequately familiar with BREEAM? If not there’s a lot to take on board and, with the best will in the world, the BRE (the organisation behind BREEAM), while excellent, isn’t known for plain English communications. It makes sense to have a design consultant on hand to make sure you fully comply with targets, so they can be implemented as early as possible in the building process. Luckily we’re here to help. We’re licensed BREEAM assessors, highly knowledgeable about BREEAM domestic refurbishment, and every aspect of the guidelines. Our remit also includes office, retail and industrial buildings. If you need support with BREEAM in Brighton, Sussex and the South East of England, get in touch.